Other than the Sherlock Holmes omnibus and Neil Gaiman’s excellent Smoke and Mirrors, I haven’t really read any single-author short-story collections in… well… ever. I actually went upstairs and checked my shelves, and while I do have an Arthur C. Clarke collection and a Walter Jon Williams collection, I can’t remember ever reading them. I guess I like my short fiction in shorter installments than collection-length, or if I’m reading a collection I like many authors to be part of it, such as Year’s Best anthologies or themed collections. So when our esteemed editor asked me to review Nascence, Tobias S. Buckell’s new book, I didn’t realize it was a collection until I started reading it. I thought it was a new novel. I wasn’t disappointed, mind; I’d just heard Buckell’s “Anakoinosis” on the Dunesteef and enjoyed it, so I figured, hey, this ought to be pretty good. And it was. In a way. 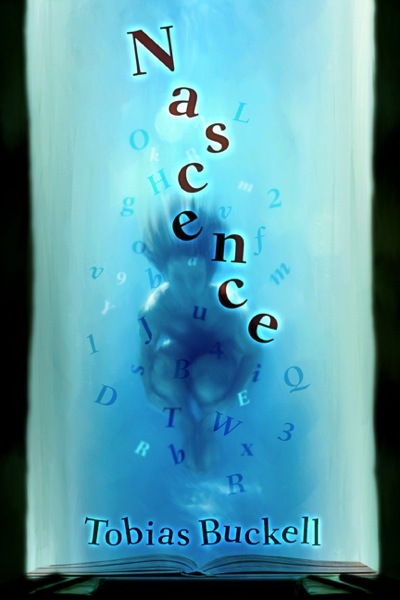 Nascence is a collection for writers more than for casual readers. It has several stories, and also the story-behind-the-story that I think most of us enjoy reading. But where a collection by another author might collect his or her best stories, Nascence… doesn’t. In fact, Buckell explains that right in the beginning of the book. Nascence contains 16 stories (one of them twice) that chronicle Buckell’s self-described failures as he went from an eager young college-aged writer to the novelist we know today. From 1996’s “Spellcast” to 2004’s “A Slow Burn Passion”, Buckell takes us through these “unsellable” tales, reflecting upon what mistakes he made and how he worked to correct them in future fictional endeavors. As a writer — although not one of Buckell’s level of recognition — I’ve seen myself making all of these mistakes. I’ve read other books about writing that describe the mistakes and tell writers how to avoid them. But where Nascence differs is that we actually see these “failed” stories in their entirety, and are able to look at Buckell’s analysis and his writing and see that, yes, Virginia, I have made these mistakes before. I found Nascence to have more impact upon me than, say, Stephen King’s On Writing. While successful, Buckell is about my age (within a year) and is on the up-slope of his writing career — a place I’m trying to get to. Writers who find books about writing by well-established, older authors boring or unhelpful may identify better with Buckell and the tales he tells in Nascence. The book ends with the version of “A Jar of Goodwill” that was published by Clarkesworld in 2010. While it is technically the strongest story in the volume, I have to admit that I actually preferred its 2000 incarnation. As I read that final piece, I kept mentally referring back to the older version that I’d just experienced. The 2010 version had bigger ideas, but the 2000 version was more visceral, and I connected better with the characters. Had I been an editor in 2000, I might have bought the original version. But then again, maybe that’s why I’m not an editor. I would recommend Nascence to any writer aged 35 or younger. Older writers who are just starting out may feel resentful of certain events in Buckell’s career — specifically, the fact that he got into Clarion when he was young enough to simply take the summer off from college and do it, instead of having to take a leave of absence from a full-time job — but I think they too would still benefit from the lessons Buckell shares with readers. Still, in my opinion this is the book you want to give the young writer in your life, the one who keeps sending you stories that you just don’t have the heart to say “what’s the point?” or “this isn’t interesting” to. However, I don’t know that this book will really be grokked by casual (or even serious) fiction readers who aren’t also writers, and it may not be the best book for them. Note to parents: This book contains scenes of sci-fi and military violence, as well as occasional sexual situations. Also, adult language. I would say it’s safe for teens of all ages, but with the caveat that less mature teenagers may not be able to deal with some of the subject matter. Of course, you should use your own discretion when it comes to your children.